Written by Lars-Erik_Olson on December 30, 2010 to Fans. It is with profound sadness that The Daily Roxette learned yesterday of the death of Cory Mistysyn, a longtime fan of Roxette and Per Gessle and loyal reader of this newspaper. Cory, who passed away on November 11th at the age of 32, was himself a talented singer/songwriter who deeply admired Per's music. "Per is a genius," Cory once wrote, "and part of that shows in his ability to choose extremely talented people to work with." Cory, who lived in Toronto, was an active participant in the original Roxette Mailing List (RML), and then migrated here to the TDR SmallTalk forum. His comments on RML and TDR were usually about technical aspects of the arrangements and about production values. In person, he was soft-spoken, gentle, and always sincere. He was known to have an impressive Roxette/Gessle collection, especially of demos and other somewhat "rare" items as his biggest interest was in the process of how Per would come up with an idea, and then move it along towards a finished product. In his lifetime, Cory managed to attend several Roxette concerts and was most recently seen enjoying Per's "Party Crasher" show in London (see photo). The cause of death was not stated in the published obituary. Written by Jud on December 28, 2010 to Per Gessle. Pelle Hörmander's traditional after-Christmas interview with Per Gessle will be aired today on Radio Halland during the program Konsekvens, which runs from 15:03 and 16:45 CET. The interview with Per is expected at around 15:30. You can listen to Radio Halland online. Thanks Tomasz Wysocki and Roxette Latinamerica for the information. Written by tevensso on December 17, 2010 to Releases and Roxette. Source: PG. The extra bonus track of the iTunes edition of "Charm School" is "It Must Have Been Love". Per also mentions that there will be no bonus tracks on the LP edition, but the sleeve is "tougher than tough". And finally Per says the radio and release date of the single is "January 7, and nothing else." Written by tevensso on December 16, 2010 to Live and Roxette. Source: d&d management. 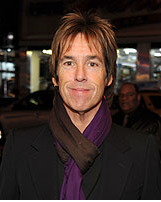 Written by tevensso on December 14, 2010 to Exclusive and Per Gessle. 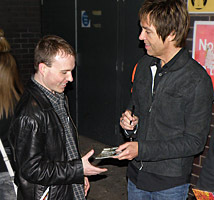 NYC - Per Gessle was spotted at the Apollo in Harlem, New York City last night at a concert by Sir Paul Macca McCartney. The concert celebrated 20 million Sirius XM subscribers. Per was in good company; Kevin Bacon, Kyra Sedgwick, Jerry Seinfeld, Keith Richards, Steve Buscemi etc. The list is endless. Per says Macca opened with "Magical Mystery Tour" and comments "hard to beat!"